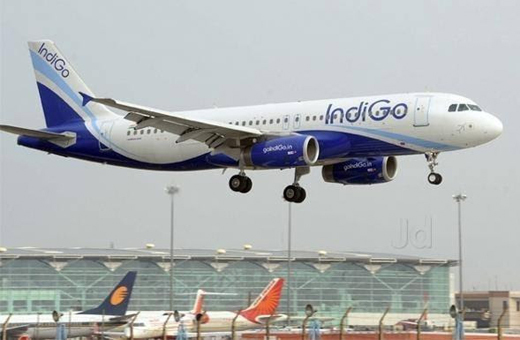 Mangaluru, Oct 1, 2017: The connectivity to Chennai from this coastal city is set to get a leg up with IndiGo introducing a new flight to TN metro Chennai, via Mumbai from October 1. Flight 6E 621 will leave Chennai at 3.55pm and reach Mangaluru International Airport at Kenjar via Mumbai at 5.45pm. Likewise, flight 6E 549 will leave MIA at 6.20pm and reach Chennai via Mumbai at 8.20pm, V Venkateswara Rao, airport director, MIA, announced. At present, Jet Airways operates a flight to Chennai via Bengaluru. Flight 9W2736 leaves MIA at 8.45am and reaches Kempegowda International Airport (KIA) at Bengaluru at 10pm. The same flight leaves KIA at 10.25pm and reaches Chennai at 11.35pm. With introduction of this new flight, daily movements of aircraft from MIA goes up to 60 - 30 arrivals and as many departures - domestic and international, giving people a wide range of connectivity.